Because for men, what you eat can be the difference between you looking and feeling like an anabolic action hero, or a catabolic cream puff. Between you taking a hold of your life or merely watching life pass you by. The difference between being looked up to or just being looked through. Men, what you eat matters. Which is why I wrote The Man Diet, which I’m offering you free here. I’m tired of watching guys hand over the keys to their testosterone, the very thing that makes them men, simply because they don’t know what to eat, when to eat and why it matters. And decided to change the way I eat. Maybe you’re tired of it, too. So today I want to help you eat like a man by giving you a taste of The Man Diet. 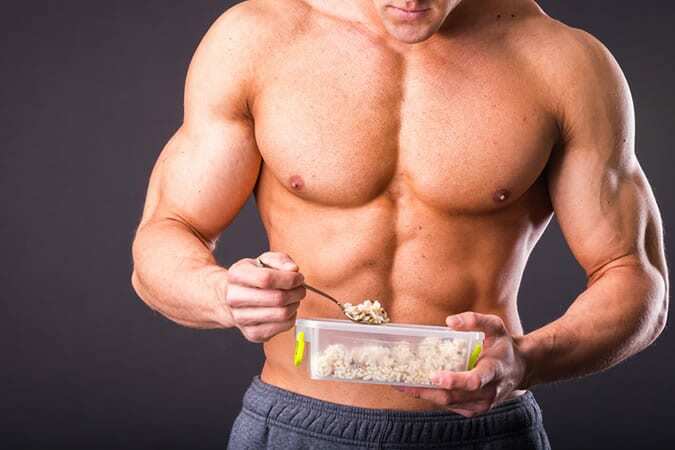 Here are 3 foundational tips to eat to boost your testosterone. Which makes sense, doesn’t it? But if you’re going to eat to boost your testosterone, you need to get a lot of fat into your diet. Because studies have shown a direct correlation between the amount of fat men eat and the amount of testosterone we have. See, testosterone is a lipid-based hormone, meaning that dietary fats need to be present in your body if you’re going to have testosterone flowing through your veins. 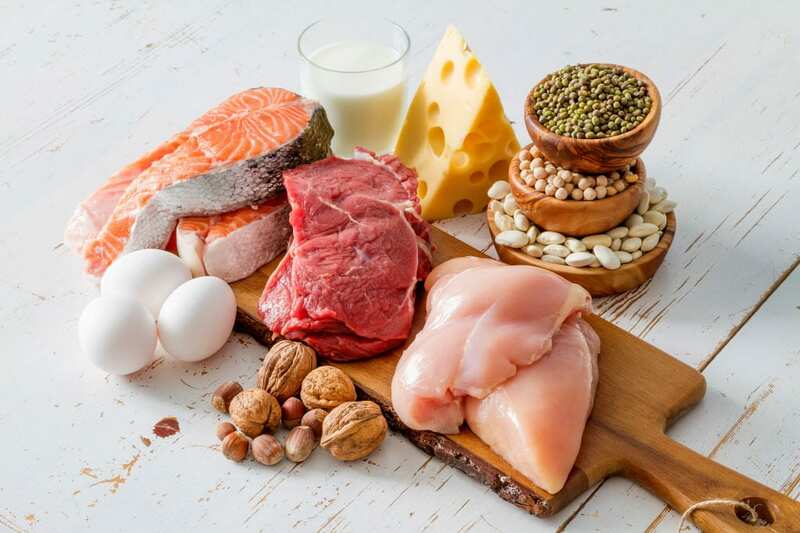 When you eat to boost your testosterone you need to eat plenty of saturated fats and monounsaturated fats (check out the list at the bottom of this section). And you need to do your best to stay away from polyunsaturated fats. But once the polyunsaturated fats are introduced, testosterone plummets. So let me start you off with an easy list. Eat: whole cage-free eggs, organic bacon, organic beef, grass-fed butter, blue cheese, avocado, olive oil, and brazil nuts. Which will ruin your ability to build muscle, grow a beard that’s worth anyone’s time, and please your wife in bed, among many other benefits that come along with having testosterone. This study shows that when carbohydrate intake was dropped by 30%, testosterone dropped with it. Also, low carbohydrate diets increase your body’s cortisol levels (an enemy of testosterone) because your body needs carbohydrates to recover from a workout or any extended amounts of physical stress in general. But just like fats, all carbohydrates aren’t created equal. When you eat to boost your testosterone you want to fill your plate with plenty of gluten-free carbohydrates. Gluten-free diets have been shown to increase testosterone. And like you’d expect, that doesn’t include donuts, unless there’s a wizard out there that makes a gluten free donut that’s worth anyone’s time. Again, I’ll make it easy for you to get started. Eat: any kind of potato (sweet, russet, Idaho, etc. ), raisins, wolfberries, blueberries, any and all green vegetables. Those are the 3 foundational tips to eat to boost your testosterone levels. It’s a good place to start you journey to better testosterone health and a higher quality of life as a result. I also recommend that you grab your free copy of The Man Diet. It’s got an in depth study of the tips I mentioned above, the top things you can do to boost your testosterone, what vitamins you need to take your testosterone to the next level and a ton more.